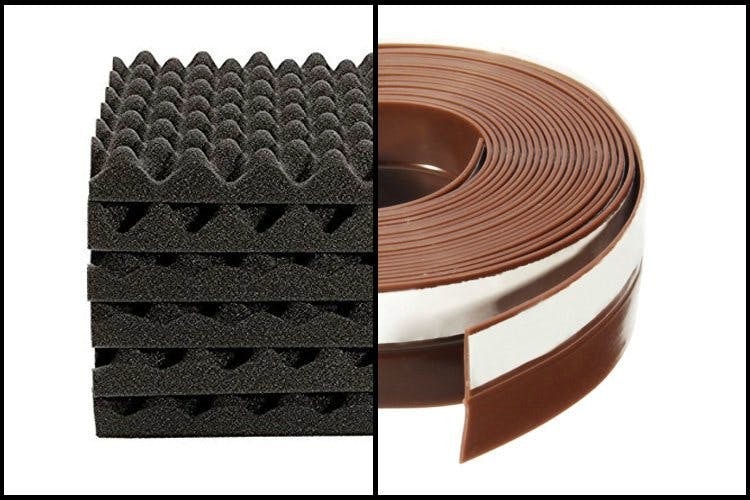 We found some soundproofing solutions for your next party! Get these and never face the day when your landlord calls you to talk about what happened last night. These sound-absorbing panels come cheap and work brilliantly on walls. You can even turn them into artwork and stop worrying about the dreaded knocks from the neighbours. Available at INR 1,902 here. P.S. Emptied out egg crates also make for great soundproofing panels. Okay, this one is on the expensive side, but these curtains apparently work like magic when you want to cut out noise, heat and, well, light. You can save on the AC bills to pay for this one, folks. Available at INR 43,019 here. The best solution of the lot, this self-adhesive tape lets you trap sound and A/C cooling at the same time. It comes cheap at INR 1,048, so we’re ordering this one already.